Last January it was revealed that after things had become tricky in the US, the copyright trolls behind the action movie London Has Fallen were testing out the Norwegian market. Reports emerged of letters being sent out to local Internet users by Danish law firm Njord Law, each demanding a cash payment of 2,700 NOK (around US$345). Failure to comply, the company claimed, could result in a court case and damages of around $12,000. 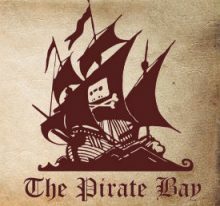 The move caused outrage locally, with consumer advice groups advising people not to pay and even major anti-piracy groups distancing themselves from the action. 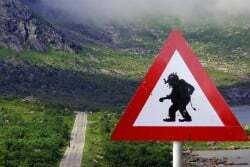 However, in May 2017 it appeared that progress had been made in stopping the advance of the trolls when another Njord Law case running since 2015 hit the rocks. The law firm previously sent a request to the Oslo District Court on behalf of entertainment company Scanbox asking ISP Telenor to hand over subscribers’ details. In May 2016, Scanbox won its case and Telenor was ordered to hand over the information. On appeal, however, the tables were turned when it was decided that evidence supplied by the law firm failed to show that sharing carried out by subscribers was substantial. Undeterred, Njord Law took the case all the way to the Supreme Court. The company lost when a panel of judges found that the evidence presented against Telenor’s customers wasn’t good enough to prove infringement beyond a certain threshold. But Njord Law still wasn’t done. More than six months on, the ruling from the Supreme Court only seems to have provided the company with a template. If the law firm could show that the scale of sharing exceeds the threshold set by Norway’s highest court, then disclosure could be obtained. That appears to be the case now. In a ruling handed down by the Oslo District Court in January, it’s revealed that Njord Law and its partners handed over evidence which shows 23,375 IP addresses engaged in varying amounts of infringing behavior over an extended period. The ISP they have targeted is being kept secret by the court but is believed to be Telenor. While rejecting some categories, the court was satisfied that 21,804 IP addresses of the 23,375 IP addresses presented by Njord Law met or exceeded the criteria for disclosure. It’s still not clear how many of these IP addresses identify unique subscribers but many thousands are expected. “For these users, it has been established that the gravity, extent, and harm of the infringement are so great that consideration for the rights holder’s interests in accessing information identifying the [allegedly infringing] subscribers is greater than the consideration of the subscribers’,” the court writes in its ruling. While the ISP (Telenor) will now have to spend time and resources disclosing its subscribers’ personal details to the law firm, it will be compensated for its efforts. The Oslo District Court has ordered Njord Law to pay costs of NOK 907,414 (US$115,822) plus NOK 125 (US$16.00) for every IP address and associated details it receives. The decision can be appealed but when contacted by Norwegian publication Nettavisen, Telenor declined to comment on the case. There is now the question of what Njord Law will do with the identities it obtains. It seems very likely that it will ask for a sum of money to make a potential lawsuit go away but it will still need to take an individual subscriber to court in order to extract payment, if they refuse to pay. This raises the challenge of proving that the subscriber is the actual infringer when it could be anyone in a household. But that battle will have to wait until another day.